This blog is a cross-posting from the OUPblog. In May, we celebrated the third annual workshop on food justice at Michigan State University. Few of the people who come to these student-organized events doubt that they are part of a social movement. And yet it is not clear to me that the “social movement” framing is the best way to understand food justice, or indeed many of the issues in the food system that have been raised by Mark Bittman or journalists such as Eric Schlosser, Michael Pollan, or Barry Estabrook. Social movements attain what clarity of purpose they have because they have a morally compelling cause. The labor movement, the women’s movement, and the civil rights movement had factions and divisions over strategy, tactics, or the value of subsidiary goals. But each was united by faith in the underlying justice of a unifying cause, however vaguely stated. There are a lot of things wrong with our contemporary food system, but that is about the only thing on which people enrolled in today’s food movement agree. I would submit that the whole idea of a food movement came out of academia. First dozens and later hundreds of sociologists, anthropologists, and geographers have studied discontent and protest over food issues under aegis of social movement theory since the 1960s. Their work on the food system originated as studies on bona fide social movements: the labor movement (Caesar Chavez), the women’s movement (globally, most farmers are women), and the civil rights movement (slavery, sharecropping and the racialization of migrant agricultural labor). By 2000, an idealistic crop of young activists had taken their courses. They mobilized the social movement idea to organize urban gardens, fair trade, and new efforts to improve the standard of living for farm and food system workers. Ethical vegetarians, opponents of genetic engineering and advocates for slow food, raw milk and organic farming were more than happy to join the mix. I have been advocating an alternative idea since the early 1980s. “Food ethics” is less sure that we have the answers than the food movement, but it shares many of the same concerns with our existing food system. Food ethics would be the cultivation and dissemination of a more reflective, more open-minded and more compassionate consideration of the way that food is produced, processed, distributed, and consumed at both local and global scales. It sees many of our current problems as a failure to think broadly and deeply enough about food and agriculture. It hopes to mobilize the resources of philosophical ethics—a rich moral vocabulary and a willingness to engage in serious debate—both as social critique but also within the corridors where key decisions about food system policy and practice are currently made. 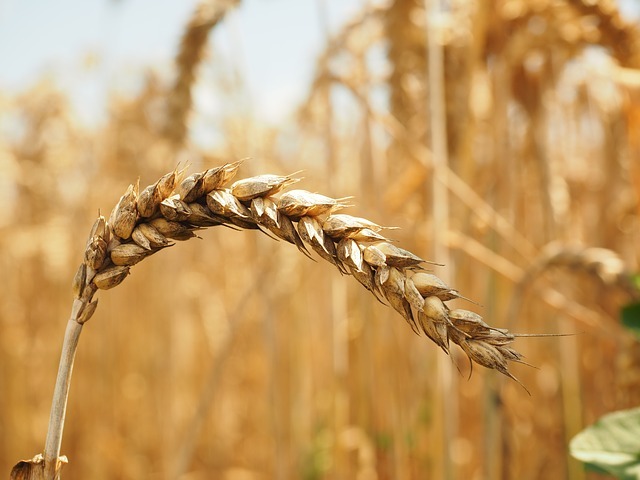 “Wheat”, by Hans. Public domain via Pixabay. Food ethics is not opposed to a food movement. Indeed, the consciousness raising work of journalists like Bittman or of activists such as Raj Patel or Frances Moore Lappé provides crucial material for ethical reflection. What is more, I have come to see a focus on food as an important corrective to narrowness, over-abstraction and reductionism in philosophy itself. When food activists talk about “getting it right” they mean something more important than a philosophically adequate characterization of the sources of normativity. They mean to do something. Academic philosophy could use some of that fire. For these reasons, I wish Bittman success with his new book A Bone to Pick. Yet while he questions whether the food movement is tough enough to deserve that name, my concern is complexity in food issues that warrants more careful inquiry. Our food practices need the kind of debate that philosophers have always excelled at—a debate where arguments are crafted, then considered carefully and where people sometimes change their mind. Getting serious about food ethics will take more than ethical theory, to be sure. It will require the marriage of a philosophical mindset with careful study of how our food system actually operates. For example, Bittman’s column calls for an end to “routine use of antibiotics in food production. “ He is on to something. For decades, meat producers have been feeding their animals on grains containing a subtherapeutic amount of antibiotics. They do it because the animals grow faster, or to put it in food industry talk, they make more efficient use of their feed ration. After more than a decade of debate over this practice and its impact on the increase in antibiotic-resistant strains of pathogens, the U.S. Food and Drug Administration issued a request for voluntary discontinuance of the practice last December. There has been much discussion as to why a stronger regulatory action was not taken, but one piece of this controversy is reflected in Bittman’s own language. What does “routine use” mean? Using antibiotics looks different depending on what kind of food animal you are talking about, and the reasons why they’re being used. Producers of pork and beef use antibiotics to treat sick animals. Taking that kind of routine use off the table would violate standards of humane animal husbandry. In addition, a flock or herd will be given a preventative dose (large enough to have therapeutic effect) when there are reasons to suspect that animals have been exposed to disease-producing microorganisms. Such prophylactic dosing poses an especially tricky ethical conundrum. Producers wouldn’t be doing it if they didn’t think it worth the expense, but should they be weighing the benefits to animal health against the risk of resistant bacteria? “Routine use” also conceals important elements of agency. As long as feedgrains with antibiotics are widely available, farmers are going to feel compelled to buy them. They put themselves at too much of a competitive disadvantage if they don’t. Although it’s encouraging that the drug industry is at least taking steps to remove growth-promotion from their list of approved uses for these drugs, commentators should be making it clearer that the ball is not in farmers’ court, in the first place. The eventual success of FDA’s voluntary effort will depend on the action of millers and pharmaceutical makers, as well as processors and retailers who will specify the advance contracts for animal products. In a world where we leave such details of the antibiotics question at the level of “routine use”, livestock producers will suspect that they are being primed as targets for skewering. They will not be especially clear in their protest either, preferring to complain about government interference without explaining the details. With more clarity about how food production actually works, we’ll be able to address issues with the kind of focus that true seriousness demands. Maybe we will even make some strides in social change. Making food issues real will require a level of rigor in thought and speech that we have yet to see from the food movement. Maybe ethics can help. Feature Image: “Plant-Crop-Grain”, by Unsplash. Public Domain via Pixabay. Paul B. Thompson is the W.K. Kellogg Professor of Agricultural, Food and Community Ethics at Michigan State University. He has been jointly appointed between departments of philosophy and colleges of agriculture throughout his 35 year academic career. 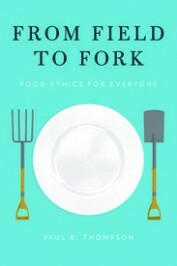 His book From Field to Fork: Food Ethics for Everyone has just been published by Oxford University Press.